WIN BIG Today with Frank "BIG MONEY" Santilli's Exclusive LATE INFO VIP CLUB for HIGH ROLLERS and Serious Players looking to SCORE BIG! A $100 UNIT PLAYER HAS AVERAGED OVER $211,890 PLAYING OUR LATE INFO VIP CLUB AND HIGH ROLLER 200* PLAYS THE LAST 5 YEARS! EXCLUSIVE LATE INFO VIP CLUB PLAYS HAVE WON AT A 83.1% CLIP THE LAST 5 YEARS - #1 RANKED LATE INFO SERVICE IN THE NATION! FRANK HAS THREE HUGE LATE INFO VIP CLUB GUARANTEED WINNERS TODAY FOR HIGH ROLLERS AND SERIOUS SPORTS BETTORS - GAMES YOU CAN ABSOLUTELY POUND AND UNLOAD THE BANK ON! SIGN UP BELOW - ONLY $250! SportsAction365.com's LATE INFO VIP CLUB Service has been the #1 Rated LATE PHONE/INFO SERVICE in the Nation the Last 5 Years!! #1 RATED VIP LOCK PLAY SERVICE in Vegas! LATE INFO VIP CLUB: COLLEGE BASKETBALL LATE INFO VIP MEGA LOCK! LATE INFO VIP CLUB: COLLEGE BASKETBALL MAJOR VEGAS HIGH ROLLER LOCK! LATE INFO VIP CLUB: COLLEGE BASKETBALL INSIDE INFORMATION LOCK - GOLD KEY INFO LOCK! Three of our Highest-Rated Picks this year! Frank "BIG MONEY" Santilli's BIGGEST BETS Today! We gathered a TON of INFORMATION on these plays! Late Info Picks from SportsAction365 are #1 in the nation! These LATE INFO VIP CLUB Releases MUST PROFIT or Get ALL LATE INFO VIP CLUB Plays the NEXT 3 DAYS FREE!! If you are a HIGH ROLLER or a serious player and really want to make that BIG SCORE, than look no further than Frank "BIG MONEY" Santilli's exclusive LATE INFO VIP CLUB for your BIG TIME action! These plays are games to HAMMER BIG and are not recreational plays to simply throw lunch money on. They are MAJOR HIGH ROLLER MOVES that the BIG BOYS play! Frank and his team of vegas insiders go BIG on these games and with good reason! Last season in the NFL, Frank WON 81%(25 wins 6 losses) in the NFL, 83%(34 wins 7 losses 1 push) in College Football, 79%(71 wins 19 losses 3 pushes) in the NBA, and 80%(63 wins 16 losses 3 pushes) in College Basketball on his LATE INFO VIP CLUB plays for his private service clients. A $100 UNIT/player WON over $213,750 last year playing just our 200* and LATE INFO VIP CLUB plays alone! Visit this page daily for LATE INFO VIP CLUB releases from the nation's #1 SOURCE for LATE BREAKING INFORMATION and the premier sports service for HIGH ROLLERS coast to coast! Sign up below and let's start WINNING BIG MONEY! PLEASE NOTE: Our LATE INFO VIP CLUB service is a seperate service than the nation's premier STAR-RATED(200*-100*-75*-50*) HIGH ROLLER CLUB SERVICE we sell on our home page. The LATE INFO VIP CLUB Service offers extra plays to HIGH ROLLERS and serious sports bettors that are looking for more BIG MONEY ACTION from Frank "BIG MONEY" Santilli to get down BIG on. Our 200* and LATE INFO plays are the STRONGEST plays we release and are the games HIGH ROLLERS should be playing. EVERYONE can make a substantial profit playing just our HIGH ROLLER STAR-RATED selections. Those plays can be purchased daily by visiting our home page for $30 a day(longer memberships at discounted rates also available). However, if you are a BIG PLAYER, no day is complete without getting our exclusive LATE INFO VIP CLUB plays that are backed by KEY INFORMATION that only "connected" wiseguys like Frank Santilli can obtain. You can purchase our LATE INFO VIP CLUB service as an add-on service to your current HIGH ROLLER STAR-RATED CLUB service below or you can purchase LATE INFO VIP CLUB picks on a daily basis starting at $250. HUGE LATE INFO INSIDER LOCKS - GUARANTEED WINNERS Today from Frank Santilli! MUST PROFIT or NEXT 3 DAYS ARE FREE! HUGE LATE INFO GUARANTEED WINNERS in ALL SPORTS for 7 Days! HUGE LATE INFO GUARANTEED WINNERS in ALL SPORTS for 30 Days! 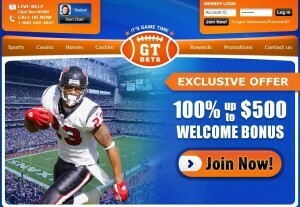 HUGE LATE INFO GUARANTEED WINNERS in ALL SPORTS for 90 Days! HUGE LATE INFO GUARANTEED WINNERS in ALL SPORTS thru 2017 WORLD SERIES! HUGE LATE INFO GUARANTEED WINNERS in ALL SPORTS thru 2018 SUPER BOWL! PLEASE NOTE: After successful payment of any of our sports betting packages, you will be redirected to a confirmation page. On that page you will choose your login and password to access our members area. Entire process takes less than 30 seconds. HIGH ROLLER 200* STAR-RATED GUARANTEED PLAYS!